Ah, fall. The leaves have changed color. The weather is getting cooler. 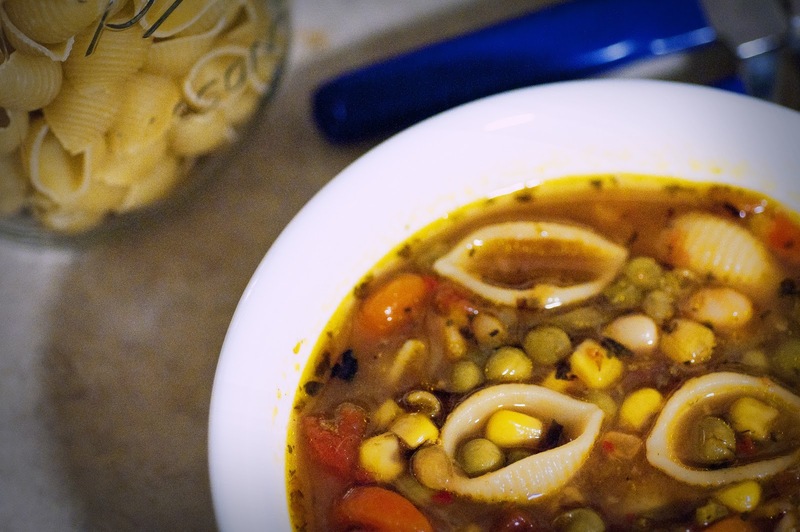 Fall is awesome and nothing says fall like a delicious vegetable soup. Some of the ingredients might not be "traditional" but my 2 favorite kids had some special requests in the vegetable department. In a large stock pot, add oil onion and garlic. Saute on med-high heat until brown around the edges. Add zucchini and saute until soft. Add carrots, peas, green beans, corn, diced tomatoes, great northern beans, water, red pepper flakes, bay leaves, and bouilloncubes. Simmer on low for 30 minutes. Add noodles, basil, oregano, parsley and simmer for 14 minutes until noodles are soft. Add salt to taste. 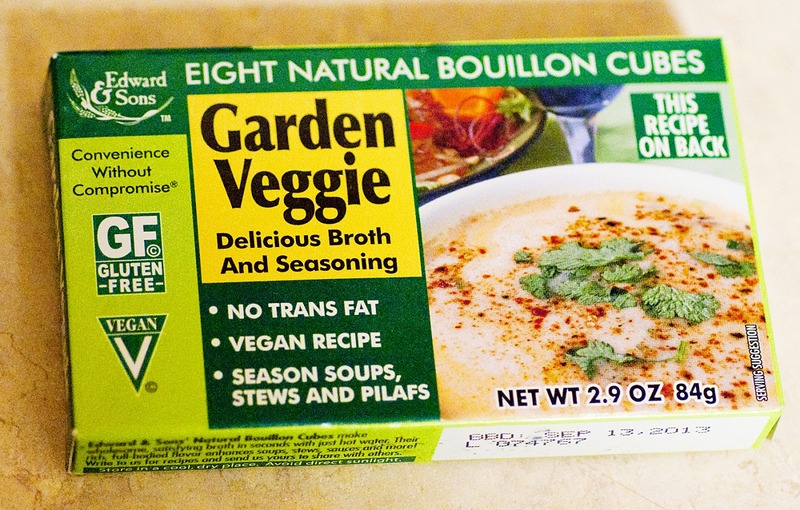 This is the bouillon I used. I found it at my local grocery store in the natural foods section.